Martin Luther King Jnr famously said “no lie can live forever”. I assembled a team of MMM critics and together we spent days researching the dark secret behind MMM’s unbelievable 30% return on investment promise. Our recurring question was “how has MMM consistently delivered 30% profit for millions of people”? We sought to find out first from participants, majority of whom seem not to have a deep understanding of how the 30% is being generated. Our questionnaire was filled with answers like “I don’t know o but it is real. You better join us”. Other comments include the following; “it is God sent, it is a miracle in this recession. God sent mmm”, “I think it is a fraud but I want to make as much as possible before they run away”. The feedback from our questionnaire left us with more questions than answers. A few people tried to explain that MMM operates on banking principles. This got my team and I more confused. We decided to visit their website to read what MMM says about itself. To our greatest shock, MMM doesn’t even pride itself as an investment company or worse, a High Yield Investment Program (HYIP). They don’t even offer any guarantees to their participants. They simply claim to be a sort of “donation exchange reward program”. As we researched, we tried to embrace neutrality – strongly resisting the tempting temptation to call MMM a scam or fraud. We just wanted to understand the MMM 30% secret or source. We dug through documents, websites, videos, movies and even music and found the secret that will shock the whole world - The MMM secret. MMM does one thing well, the MMM team knows how to work within laws to ensure everything they do is legal. We discovered there are mountains of scary disclaimers which can be concluded to mean “Donations are made at your own risk”. On this foundation, we built our research. After reading several documents, we discovered the MMM narrative; Donate an amount you can lose or can risk to a fellow participant (not MMM) and you will be rewarded with MAVRO (we will explain this later)..
MMM is careful about its words, there is no mention of profit, interest or investment. They use words like reward, donation and growth of MAVRO. Literally, we saw a contrast between what blogs and news papers wrote about MMM and what MMM wrote about MMM. MAVRO named after the very resilient Russian mathematician and programmer who founded MMM is the source of MMM’s 30% promise (no scratch the promise, MMM doesn’t promise anything). MAVRO is the secret. To understand MAVRO, we will use real life names, situations and assumptions. Akin (lives in Lagos), Emeka (lives in Aba) and Aisha (lives in Abuja) are all participants of MMM. They registered for free and pledged the amount they plan to donate. Akin plans to donate 100,000NGN, Emeka plans to donate 130,000NGN and Aisha plans to donate 200,000NGN. If they all donate to other participants (who have previously donated), they will be rewarded with MAVRO equivalent to the amount they donate. The problem is the MAVRO grows at 30% and it can be converted to cash and withdrawn. That’s the point where it gets a bit clumsy. As we dug further, we saw MAVRO for what it truly is. MAVRO is the score or measurement of the growth of the MMM community. 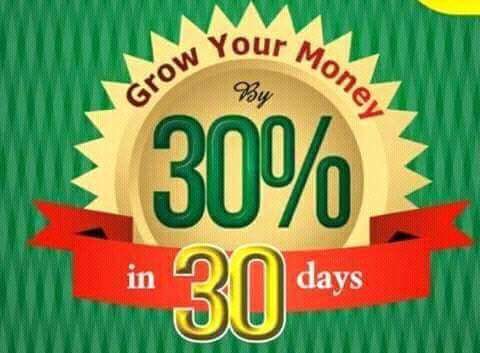 MAVRO in Nigeria currently grows at 30%, it can be increased or reduced. The number of participants and the financial value of their overall pledge determine the growth rate of MAVRO. As long as the pledges outnumber the withdrawals, the MAVRO will remain at 30% but if the difference between the MAVRO and withdrawals isn’t much, the MAVRO may be reduced to say 10%. To ensure the numbers of pledges keep rising, MMM offers MAVRO to anyone who tells others about MMM. If Emeka tells Jude about MMM and Jude pledges 150,000NGN, MMM will give Emeka 15,000 MAVRO-NGN. Emeka can withdraw his MAVRO by requesting for help in sum of 15,000 NGN. Why does MMM reward Emeka? The answer is simple; people like Emeka keep the system strong by referring new people. This then leads to the question; does MMM need NEW PEOPLE to SURVIVE? The answer we got from our research shocked us. MMM does not need new people to survive but only if MMM members trade within themselves. If MMM participants trade within themselves, there will be no leakages of the MMM funds and money will remain among MMM members. To understand this, let us take a look at banking. Let’s assume a bank called Wazobia Bank has 1million customers. They have deposits of 1billion Naira. CBN allows the bank to loan out about 60% of their deposit. 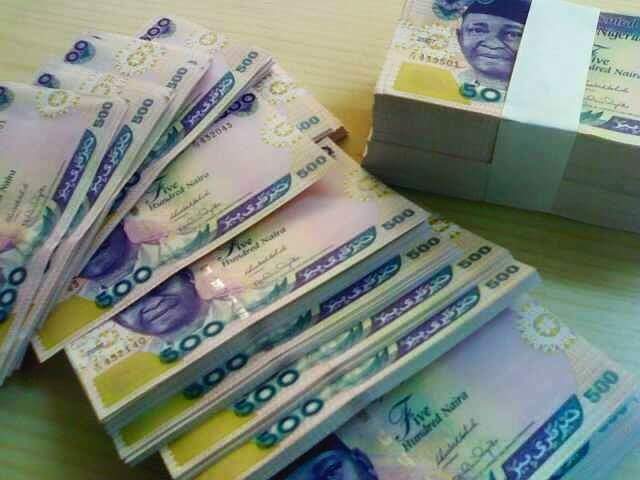 This creates 1.6billion Naira (1billion real money and 600million idea of money). Two main factors ensure for the success of this; collateral backed loans and few leakages. If the loans are not repaid, the collateral will be sold and people from the bank’s customers will buy and the 600million will be generated. We will now be back to 1billion naira. The 600million idea of money has vanished. Nobody loses any money. The debtors simply lost their asset. Massive leakages rarely happen in banking because the urban dwellers are active users of bank accounts. About 70% of the money stays in developed states which means over 60% of the overall money stays in banks. Even when people spend money in local areas, it finds its way back to the banking system because the locals need urban tools to build, eat and survive. In urban areas, fellow bank customers trade with each other. For MMM, as their participants continue to increase, they will unconsciously begin to trade with each other. A university student told me of her experience, she went to make photocopy of her school work and discovered the woman in charge was all smiles. She wondered if her 30NGN was responsible for the woman’s smile. A few minutes later, she overheard the woman telling her sales boy to quickly run to the bank to make payments for her before MMM blocks her (MMM gives participants 48hours to fulfill their pledge to other participants once it is requested). After further enquiry, she discovered the woman has made 360,000NGN from MMM. They became friends because the student herself sponsors her education from donations she receives from MMM. It became a thing of joy for her to continue to patronize her co participants knowing that every penny she spends will somehow return to the system as a donation to someone who needs it. As MMM participants make money, there will be a desire to spend. They will be stronger if they patronize themselves to keep the system strong. This way they won’t need new members to remain strong. It is the new members who will need them to escape the hardship that life in Nigeria has to offer.